Beloved by nearly every streamer who owns one, even an astute viewer might not know about the Elgato Stream Deck. The recently released Mini version has become as highly regarded as equipment like the A2020, and for good reason. The Stream Deck allows streamers to control and automate some of the more difficult parts of a broadcast with the click of a button — one of the 6 on the Mini, or 15 on the original version. It’s not a necessary part of a stream, but it’s a great way to take things to the next level. The number one pro of the Elgato Stream Deck Mini - the thing that should make you want it - is that it just does everything. It won’t significantly alter the substance of a stream. It won’t record high quality audio and video, or magically turn a streamer into a beloved personality. However, if you have all of those things and you’re 80% there, this will easily cover the other 20%. It can help with your live audio mix, your visual transitions, and can add a bit of personality by triggering sub responses and the like. The Elgato Stream Deck Mini relieves a large part of the burden when it comes to broadcasting. All of the things that are finicky and generally difficult to do live fade away easily with the Stream Deck. All of those automated messages that pop up are great for bringing your attention to things, but the Stream Deck is how you act on that notification. It can be used to interact with chat when need be — Magic streamer Gaby Spartz often uses it to dump emotes. It can also be used to switch from one scene to another in OBS, or to play an audio clip like a shock jock DJ. Whether using it to interact with your community, liven up your stream, or simply streamline things, there is no tool like the Elgato Stream Deck. Especially because of the software wiring that has already been done. You might be able to map other controllers to do something similar, but you would have to have an entire development team to create the same ease of use as Elgato has. The Stream Deck ties in easily with OBS and nearly every other back end streaming software, as well as front end hosts like Twitch, Twitter, Facebook and YouTube. Fresh out of the box, the Stream Deck interacts with these things better than most humans do. This ease of use also extends far beyond external software. Elgato has built their own application that allows streamers to point, click, drop, and drag anything that you might need. Pictures, video, and audio can all be queued up with no more difficulty than a DropBox upload, extending to the ability to open up entire folders. You can then get a little bit creative with the buttons, such that you’d be able to scroll through this folder using nothing but the Stream Deck. From this program, you can also use the Stream Deck software to change the icons for the buttons. By uploading a .jpeg to the button, a built-in LED display will show whatever you uploaded. This makes it easy to remember what function each button performs. In many ways, this speaks to the overall wonderful design of the Elgato Stream Deck. Sturdy but sleek, the Stream Deck is easy to store. This is great for streaming on the go, where many of the functions will be much welcomed. The Stream Deck Mini has also been built with a triangle design, similar to a glass prism, that allows it to be sat on a desk facing up. This was a problem with the earlier version, and demonstrates care from Elgato. There are, of course, some downsides to the Elgato Stream Deck. Set up, unfortunately, is one. While it isn’t overwhelmingly difficult to get through, setting up the Stream Deck can take some time. You should be especially prepared for frustration here if you aren’t too tech savvy. The Stream Deck requires no more knowledge than a stream would, but it can be quite challenging as you marathon through set up. It’s like an exam for your broadcasting skills. While it tests your knowledge, the Elgato Stream Deck also does a fair job of testing your patience. The hardware is fantastic and sturdy, but the software isn’t quite there. It’s known to crash frequently during setup, often inexplicably. However, this issue rarely interferes with a livestream. Many are hopeful that this will be fixed soon, as well, as Elgato has previously shown desire to improve and willingness to listen. Others might also note that the Elgato Stream Deck is difficult to integrate into a setup. It’s great on the technical side, but it does ask for a not insignificant amount of desk space (a problem multiplied by the 15 key version.) This is something that you should consider, though it might not be make or break. Remember that it does eat up space and a USB port, which are often precious resources. Also remember, however, that it can save some if you’re using other tools for things the Stream Deck can automate. Many people have minor nit picks, as well. Notably, the keys on the Elgato Stream Deck are unprotected, which can be an issue when on the go. Others feel limited by what they can do with only 6 buttons (on the Mini), though this comes mostly from those with experience with the 15 key version. Also consider that you can use 1 button to switch the other 5, giving an effective total of 10 usable keys. Should i get the elgato stream deck Mini? The Elgato Stream Deck Mini is not a necessary tool for streaming in any sense of the phrase. If you are just beginning, there are likely better ways to spend $100. You might also skip over it if your broadcasting style is minimalistic and it won’t be much in use. It can also be a bit irrelevant in 2 or 3 monitor setups, though even there it can save both mouse clicks and time. If you’re working with a single monitor, though, this should be high on your wishlist. In fact, this can serve as a replacement for a second monitor in most situations. If you’re frequently on the go or looking to cut down on equipment, this should be in your Amazon cart already. 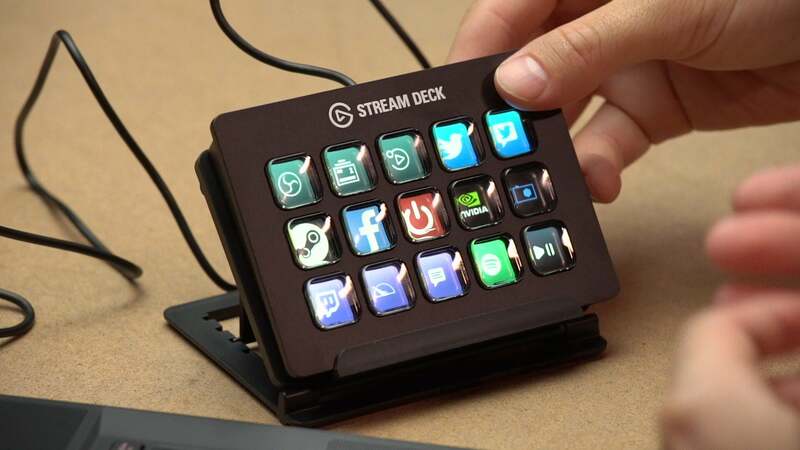 The Elgato Stream Deck can also help any broadcast look more seamlessly professional, which is important to branding yourself as a streamer. Finally, it makes a great gift for the streamer in your life. It might not be as practical as other equipment, but nearly every streamer would be happy with it. should I get the elgato stream deck? If you’re at all interested in the Mini, you’ll almost assuredly be interested in the 15 key Elgato Stream Deck. The most obvious reason to upgrade is the full set of keys — as you might know, 15 is much larger than 6. Note, though, that 9 more keys aren’t always necessary, and can sometimes be a detriment. If you don’t foresee yourself using all of them, it’s probably best to start with 6. Be wary of using the other keys to add too much form, and stray from the function. If you find you need more keys at your disposal, you can always sell your Mini and upgrade to the full size model. It’s also important to note that this version is not built to stand up facing you, but instead to lay down. In this position, the USB cable gets left hanging awkwardly above the Stream Deck. Beyond this, though, there is no reason not to upgrade. 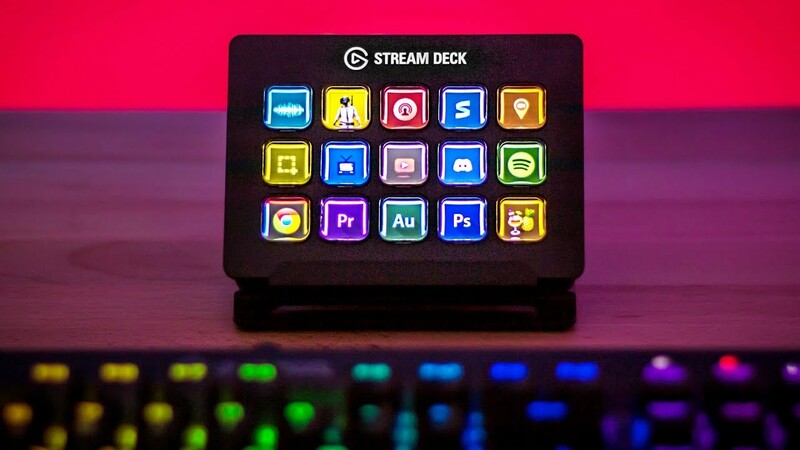 The Elgato Stream Deck can significantly increase the production value of your stream, especially if you have the skill and vision to use it to its full potential. Seamlessly triggering scene transitions, audio cues or animations on screen can really add amazing production value to an otherwise boring stream. It’s a great tool if you want to bring viewer entertainment to a new level, and something that all streamers should be able to utilize.